This chronograph had its world debut at Baselworld 2017. The integrated rocker arm was inspired by the specialized valve on the new Porsche 911 RSR's engine, which has its rocker arms on axles. It's a complete revolution of the classic timing function. These watches follow in the footsteps of the iconic Chronograph I, the first matte black wristwatch in the world. 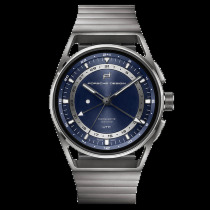 The Chronotimer models feature a timeless, sporty design with a contrasting, easy-to-read dial. This series honors the founding year of the Bauhaus school. A defining characteristic of the series is skeletonized lugs that are seamlessly integrated into the case. The 1919 Datetimer Eternity Brown Alligator Leather won gold at the German Design Award 2017 for its timeless, elegant design. 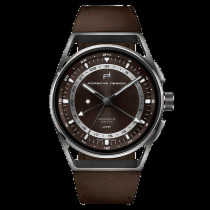 Porsche Design watches are more than just timepieces: they're precision instruments with modern technology. 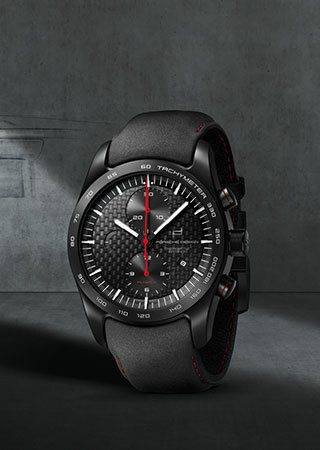 Porsche Design works closely with Porsche Motorsport to develop high-quality luxury watches. This cooperation utilizes innovative technologies from the field of racing and enables superior performance in terms of material and precision – both in motorsports and first-class watches. The in-house designs are made by the design studio F. A. Porsche in the Austrian town of Zell am See, where the work of founder Professor Ferdinand Alexander Porsche is continued. Development and production take place in Solothurn, Switzerland. With a tireless pioneering spirit, the engineers at Porsche Design Timepieces AG are always working on new ways to create extraordinary timepieces. 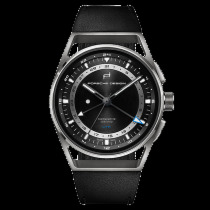 Porsche Design has revolutionized the watchmaking industry with their unique designs and innovative technology. Cockpits of racing cars were equipped with matte black dashboards towards the end of the 1960s to minimize reflection. Prof. F. A. Porsche used this as inspiration when he developed the first matte black wristwatch in the world. Eight years later, Porsche released the first chronographs made entirely of titanium. Prof. F. A. Porsche founded Porsche Design in 1972. High-end technologies merge with progressive designs in his creations, which include the legendary Porsche 911. His unique combination of design and engineering expertise defines the brand philosophy to this day. 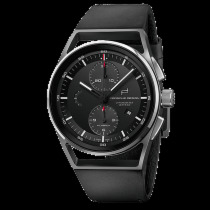 The luxury watches from Porsche Design have been inspired by motorsports for over 40 years.